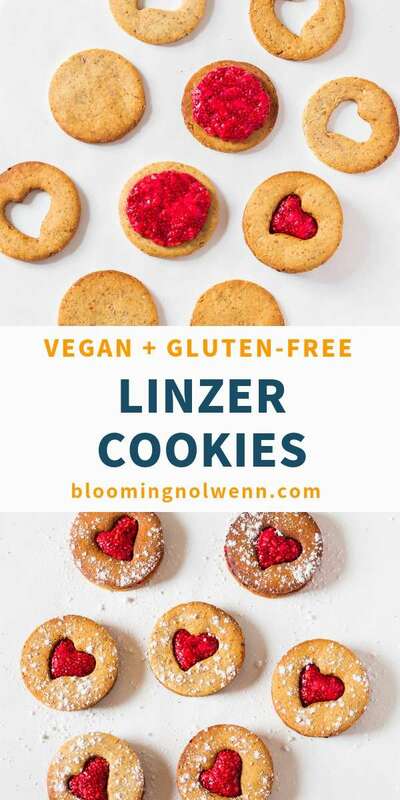 These Vegan Linzer Cookies are made with 4 ingredients and are very easy to make. 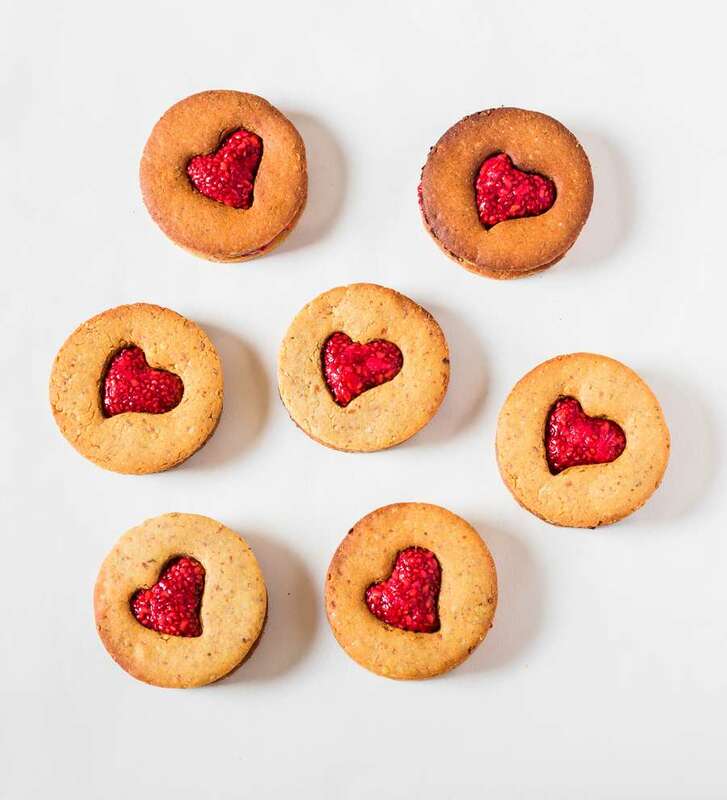 A healthier cookie recipe perfect for Valentine’s Day or any day! Vegan, gluten-free, oil-free and refined sugar-free. 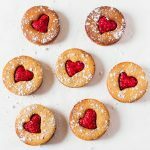 As a kid I used to love sandwich cookies filled with jam or chocolate, so today I’m sharing with you the recipe for these cute and easy Linzer Cookies! If you want to make a cute dessert for Valentine’s Day but you don’t want to spend hours in the kitchen making something fancy, this recipe is for you. These cookies only require 4 ingredients if you decide to fill them with store-bought jam. I have included the recipe I always use to make my own raspberry chia seed jam, but you can use your favorite jam of course. I LOVE these cookies because they only take 20 minutes to make and I think they look very cute without too much effort – what do you think? 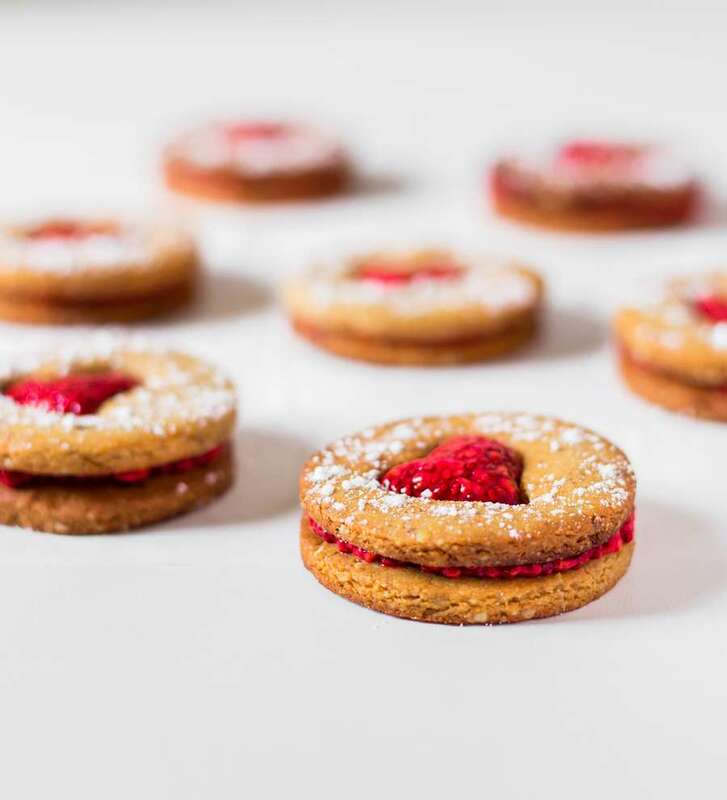 To make these Vegan Linzer Cookies, simply combine almond flour, peanut butter and agave syrup or maple syrup with a spatula and knead until the mixture forms a ball. 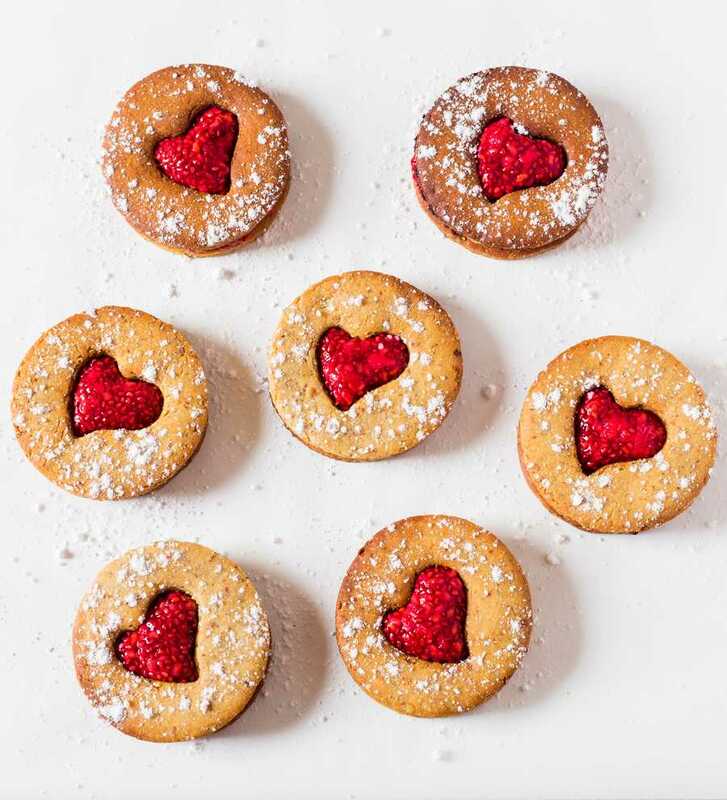 Then, roll out the cookie dough and use a round cookie cutter to make an even number of bottoms and an even number of tops with a heart in the middle. I baked them for 5 minutes and I highly recommend you to keep an eye on them because almond flour burns very easily. Once the cookies are completely cooled, dust the cookie tops with powdered sugar if you want. Spread your favorite jam on the bottom half of the cookies and place the top over, pressing slightly. A great dessert idea for Valentine’s Day! These Vegan Linzer Cookies are made with 4 ingredients and easy to make. 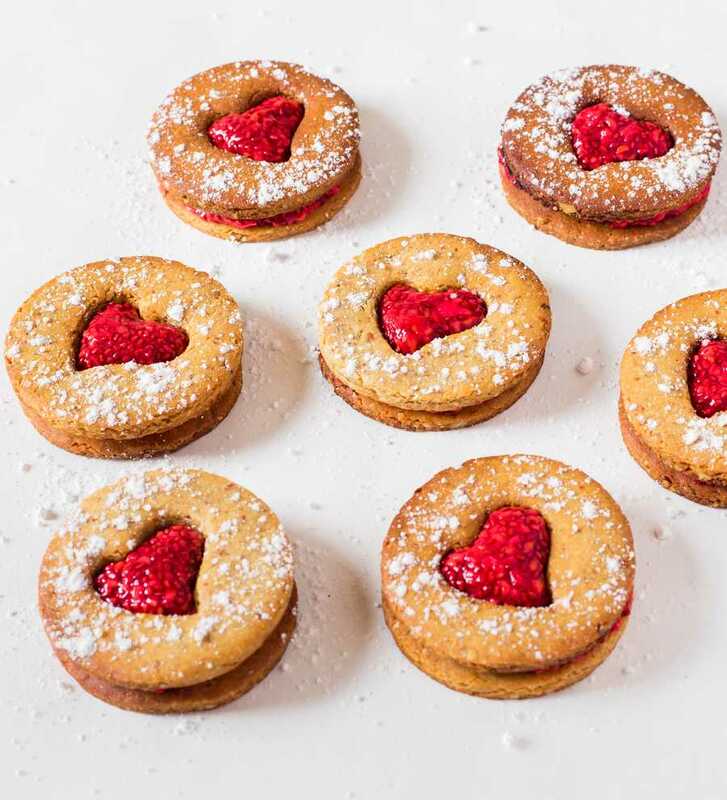 A healthier cookie recipe perfect for Valentine's Day or any day! Vegan, gluten-free, oil-free and refined sugar-free. Place water and frozen raspberries in a saucepan over medium heat and mash raspberries with a fork when they begin to thaw. When they reach a saucy consistency, remove from the pan and stir in chia seeds. Transfer the mixture to a jar and allow to cool completely before placing it in the fridge to set for 1 hour. Preheat oven to 340F or 170C. In a large bowl, combine almond flour, peanut butter and agave syrup or maple syrup with a spatula and knead until the mixture forms a ball. Add more agave or maple syrup if the dough is too dry. 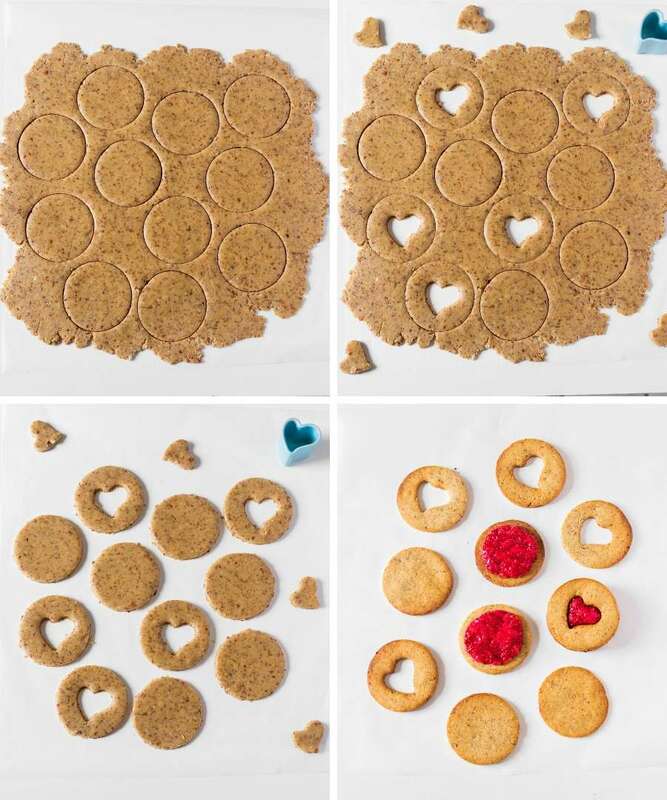 Then, roll out the cookie dough between two sheets of parchment paper to about 1/2 cm thick and use a round cookie cutter to make an even number of bottoms and an even number of tops with a heart in the middle. Place the cookies onto a baking tray lined with parchment paper and bake for 5 minutes. Keep an eye on them because they burn very easily. Transfer to a cooling rack and allow to cool completely. Once the cookies are completely cooled, dust the cookie tops with powdered sugar if you want. 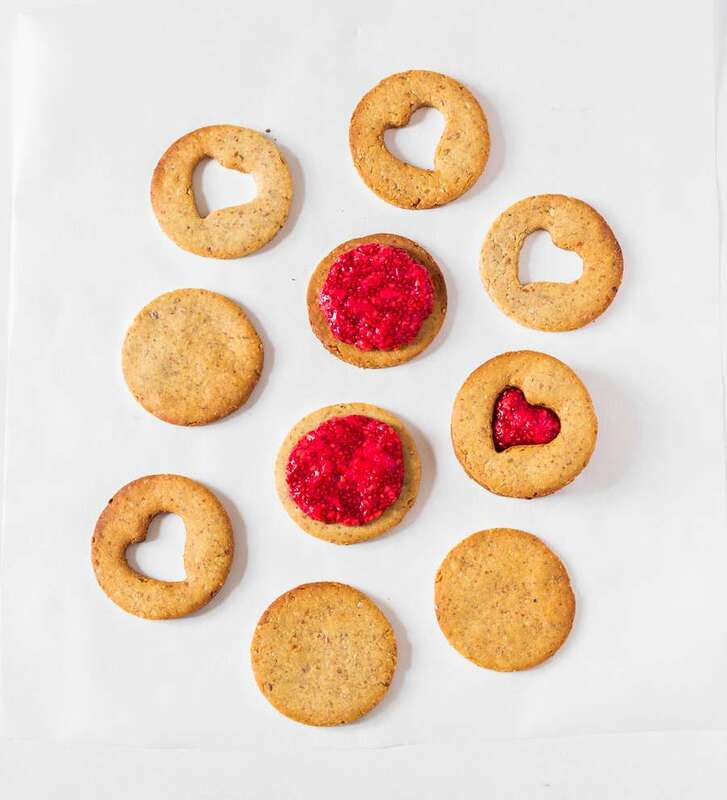 Spread raspberry chia jam or any jam on the bottom half of the cookies and place the top over, pressing slightly. Enjoy! I store these cookies in the fridge in an airtight container for up to a week. Note that they will soften a bit when stored. You can freeze the cookies before filling them for up to one month.